Customer service representatives play a key role in business growth and promotion – by supporting customers they build trust and improve brand awareness, reduce the number of complaints and facilitate your marketing efforts. More than that, they often are the only contact a customer has with a company. If your business is in need of creating or growing a customer service team, there should be a process of evaluating its performance to make the team successful. grow the number of customers and increase customer service quality. If your customer support process relies mainly on a live chat solution, use post-chat surveys to get the information for the future measurements. Below is a list of key performance indicators that would help your customer service team develop and grow. 8-10 simple questions taken from customer post-chat surveys can help you identify the happiness score of your customers. Every business is unique, there’s no definite list of questions for everyone, so it’s up to you to work on the questionnaire. Ask your customers if they like your product or service, how they feel about customer support, delivery and ease of your website use. The more customers give positive scores, the better. Keep the numbers in a table and re-evaluate the customer satisfaction score regularly.If an average amount of satisfied customers goes down, this is a signal to pay attention to the reasons why it happens and how to correct them. Please note that questions should be short and written in a simple language, while the surveys should load fast and be accessible from any device. Subtracting the percentage of Detractors from the percentage of Promoters yields the Net Promoter Score: % of promoters – % of detractors = Net Promoter Score.The better the score is, the more likely your products or services would be recommended to others. Keep an eye on this metrics to grow your customer base exponentially. Customer retention rate should be a steady or growing number month by month. If not, identify where a breach in the process of interaction with your customers is and fix it. What is the total number of live chat sessions a customer service rep has processed during a day / week / month? Define an average number a separate rep can take during a working day without over-pressure. Is this a growing number? How many live chat sessions were closed due to customer abrupt inactivity? How many times did a customer service rep help with sales? Obvious fact – the more questions and complaints are solved by a customer service representative, the better for your business. What is the percentage of sessions a customer service rep could not solve themselves due to lack of knowledge or any other reason? How long did customers wait for the first words of a customer service agent on average? WOW effect is made only by people for people. The more engaged, happy and loyal your employees are, the more likely they would create magic for your customers. To measure the engagement of your employees, you should observe their work over time, ask their feedback on the process and show interest in their lives and personalities. Ask yourself a few questions about an employee and identify the answers using a 0-10 scale. The questions should be about the quality of work and interest in the department working processes, attitude to customers and other teammates, desire to develop and grow. Measure the specified KPIs regularly, create diagrams showcasing the progress of each employee and the customer service team as a whole and make conclusions.What other KPIs you think would be worthy to take into account? Share your thoughts in the comments below. This entry was posted in Best Practice, Instructions and tagged customer satisfaction, customer satisfaction rates, customer service. Bookmark the permalink. Customer service provider should be active and well educated. So, he can handle all the queries easily. Thank you for your input. Can’t agree more. Care should be taken when counting the number of chats an agent takes over a period of time, especially when compared to other agents. This ties directly in with chat times. If this becomes too much of a concern, you run the risk of stifling the most talented and emotionally intelligent agents in favor of numbers. In this case, the other KPI’s, such as call resolution, should be taken into consideration, perhaps. Shelly, thank you for your comment. I feel that you have lots of experience in this topic. I appreciate your time reading the article and sharing your thoughts. I use to provide support for my website but I was not aware of all these scores. I have noted net promoter score (NPS) which I think will help me to make things better. Yes, indeed if the complaint is sorted out by customer service we will get a good feedback which will result in the positive way. Hi Katie. Thank you for your comment. I’m glad that the article is useful for your customer service process. Thank you so much for sharing this information. 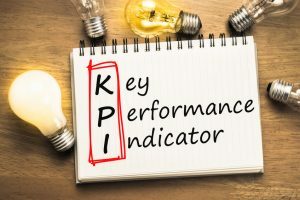 I heard about all these factors from my working fellows especially customer Service Team KPIs and by going through this article I got to know what exactly the use of them. As we all know customers survey is really important to keep a business alive and by going to this point we can get exactly what we are looking for our business. Hi James. I appreciate your comment and glad that you found the article useful.